OST to PST converter Migrate emails from corrupt exchange OST files to PST files. Outlook PST RepairRepairs the corrupted PST files and saves the data into multiple file formats. OST File Repair Recovers the mailbox contents from corrupt OST files. MBOX Converter Export the mailboxes from Apple Mac to MS Outlook. NSF Converter Export the emails from Lotus Notes to Outlook. 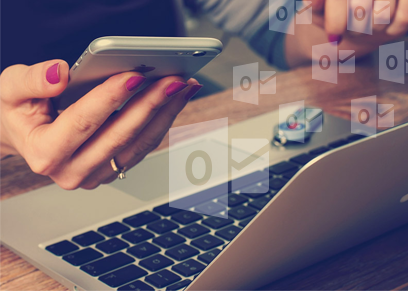 OLM Converter Migrates the Outlook files from Mac to Windows Outlook. PST SplitterSplits or divides a large PST file into multiple smaller ones. PST Merger Combines multiple small PST files in a single PST file. Outlook Password Repair Recovers and Restores the Outlook PST Passwords. OST File Viewer Freeware to open and view OST files without Outlook. PST File Viewer Freeware to view and read PST files without Outlook. Converts the corrupt and inaccessible Exchange OST files to Outlook PST and other similar formats. Repairs and restores the damaged PST and saves them into PST, MSG, MBOX, DBX and EML format. Recovers the emails and other mailbox contents from the corrupt OST. In MsOutlookHelp, we believe in innovating the applications to make the technology simpler and easier. We offer promising solutions to protect and recover the user data whether it may be personal or professional. We have acquired the expertise in mastering the issues related to the Outlook. This OST Converter is awesome. It worked well for me. I have tried some other software but was not satisfied with the results. But it helped me to convert my OST files successfully to PST format. Great work by the team. Carry on guys. I feel satisfied with this software. Certainly the best thing was the recovery from the exchange OST. After searching a lot over internet, I was impressed by this tool and used it. You guys saved my data. This is an awesome utility. It helped to resolve my issues related to conversion of OST to PST. It is well designed and structured Outlook converter. Also, it is very user-friendly. I used any software first time. But the interface was so much user friendly that I didn’t feel that I am first timer. I’ll for sure recommend this best OST to PST Converter to everyone looking for such concern. In this technical script, highlights of the Sending and Receiving Outlook Error 0x800ccc0f have been explained. In this technical script, Outlook Error 0x800ccc0f have been explained. The blog illustrates about the OST files and the errors have been detected in the file Outlook.ost error. Hunting a solution to delete and rebuild OST file in MS Outlook 2016, 2013, 2010, 2007? Having any trouble to recreate OST file?